After an absense of a year I will be able to come back. I hope to meet with some of my fellow CCIEs to discuss the network design issues we are facing. Just have to figgure out how to do that, hopefully VMWare will host some meeting. If you have been waiting to register for VMworld 2014 Europe, the wait is over. Registration is now open and you can join your colleagues in Barcelona 14-16 October. Register now for VMworld 2014 Europe and connect with the people and partners who are transforming IT. You’ll have access to more than 115 technical and content-rich sessions and labs covering the latest in virtualization innovations in the data center for storage, networking, security, management, workforce mobility and hybrid cloud services. You can view the VMworld agenda online via the Content Catalog, which gives you a comprehensive list of breakout sessions, labs, and group discussions. You can search by fields such as track, session title, speaker names, or location; or you can filter with a variety of tags or key words. If you still need guidance in searching and using the Content Catalog, you can view our User's Guide for step by step instructions. The opportunities are within reach. Get registered, access the agenda via the Content Catalog, and get ready for VMworld 2014 Europe in Barcelona! It’s time to take your first look at the VMworld agenda. The Content Catalog is now live, giving you a comprehensive list of breakout sessions, labs, and group discussions. Registered attendees and prospective attendees alike use the catalog to see what topics will be on the agenda, who is speaking, and to start noting their sessions of interest. You can search by fields such as track, session title, speaker names, or location (US or Europe), or you can filter with a variety of tags or key words. Need guidance in searching and using the Content Catalog? Check out our User’s Guide for step by step instructions. The Mobile-Cloud era has arrived—and it’s all about software. Software that empowers you to break down walls, demolish barriers, and reveal the virtually boundless opportunities ahead. The time to break through is now. At VMworld 2014, you’ll learn how. The opportunities are within reach. No limits. Get registered, check out the agenda via the Content Catalog, and get ready for VMworld in San Francisco in August. Time is running out to attend VMworld 2014 US in San Francisco on August 24-28, 2014 at a discounted rate. Register now and save $300 with Early Bird pricing. You can’t afford to miss this VMworld—showcasing the latest products and offering the practical sessions to improve your working knowledge base to help you and your business succeed. • Access to over 350 technical and content-rich sessions and labs covering the latest in virtualization innovations in the data center for storage, networking, security, management, workforce mobility and hybrid cloud services. • Opportunities to connect and network with other IT professionals, VMware and subject matter experts to share information about challenges and opportunities with like-minded professionals. • The ability to review the latest competitive solutions side-by-side with sponsors and exhibitors in the VMworld Solutions Exchange and discuss your specific questions with technology partners who can provide advice and information. Early Bird Pricing ends on June 10, 2014, so register today. It’s Time--VMworld 2014 US Registration is Now Open This is the year to be at VMworld. Join us in San Francisco, August 24 -28, and connect with the people and partners who are transforming IT. The wait is over—VMworld 2014 US registration is now open. From the data center to the device, VMworld 2014 will deliver the essential tools and training to provide real business value back to your organization. Register now and save $300 by taking advantage of our Early Bird pricing. You will have access to over 350 technical and content-rich sessions and labs covering the latest in virtualization innovations in the data center for storage, networking, security, management, workforce mobility and hybrid cloud services. Need help convincing your boss to send you to VMworld 2014? Download our letter to demonstrate why you have to be at VMworld this year. The letter guides you in breaking down the costs and benefits of VMworld, why attending is so important, and the value you and your organization will see in return. Register now. VMworld 2014 is waiting—are you ready? We are, and we can't wait to see you there. Here’s your opportunity to help influence the content at VMworld 2014. Public Session Voting opened this morning, and you can vote for your favorite session proposals. Session Voting is open May 5 – May 18 at 11:59 pm PDT. Voting is open to anyone-- you will be required to login to your vmworld.com account to participate. If you do not have a vmworld.com account, you can set one up for free. If you already know of a specific session or track you want to vote for, once you login to the voting site you can select a Track, Sub-track, or do a Keyword Search (Session ID, title, speaker, etc.) to find specific session(s). To cast your vote, click on the “Thumbs Up” symbol next to the Session ID. You will receive confirmation that your vote has been counted. To remove a vote, you will need to click on the “Thumbs Up” symbol again and this will remove the vote. Your vote, and the votes of others who participate in public Session Voting, will be reviewed by our VMware Content Team and will influence the final session selection. Check out our the Public Session Voting FAQ for more information. Don’t let the deadline slip by you. The VMworld Call for Papers submission window closes on May 2, 2014, so it’s time to put the final touches on your abstract and mark your submissions complete. Late submissions will not be eligible, so don’t miss the opportunity to be a part of this year’s conference, and to make an impact by leading a session at VMworld 2014. You still have time to get your submission complete and into the system for consideration. Below is a guide of the steps for you to follow to complete a winning abstract for this year’s VMworld Call for Papers. Visit the VMworld website for all of the basic information about the submission process. Read over the submission guidelines carefully. These guidelines will help you expertly craft your titles and abstracts, and avoid common reasons for rejection. Review the suggested content areas for submission on the VMworld website. These areas will give you guidance for important topic areas for your abstracts. As noted in the submission guidelines, have someone else carefully proofread your title and abstract before submission. Finally, submit your title and abstract via the VMworld 2014 Call for Papers submission link. Notification letters will go out by early June. Good luck to everyone submitting this year! It’s official. It’s open. It’s time to finish those rough drafts for submission and get your abstract in the running for VMworld 2014. First, head on over to the VMworld website for all the important information about submitting an abstract. We want to help you submit winning proposals. So take the time to review our Abstract Submission Guidelines. These helpful recommendations will guide you in preparing your titles and session descriptions and will assist you in avoiding the common pitfalls that lead to abstract rejections. To get really inspired, check out the sessions that were accepted for the VMworld 2013 agenda. (Please note you will need a VMworld login to access this content). *In addition to the above topics to choose from, you will also find tags in the Call for Papers to further help you categorize your session proposal. These tags include Technical Level, Products/Topics, Market Segment, and Attendee Role. We strongly encourage you to utilize these tags thoughtfully to better your chances of being accepted onto the agenda. The more we know about your session the better. Unless otherwise noted, we will assume your session is appropriate for the general audience. Please DO NOT check every tag, as it will not increase your chances of acceptance. Finally, as you complete your abstract and are ready to submit, use the link below. Good luck and we look forward to reading your submissions. We are already in preparation mode for VMworld 2014 and before you know it, we’ll all be gathering in San Francisco. What better way to make an impact at VMworld 2014 than by leading a session at this year’s conference. Do you have something new to offer in Software-Defined Data Center, End-User Computing, Hybrid Cloud or another area? Then, start putting your ideas together, and get ready to submit for the 2014 VMworld Call for Papers, opening on April 4th. In the meantime, we would like to help you prepare to submit winning proposals. For inspiration, view previous sessions in full from the 2013 conference by clicking on the track areas below. You will need a subscription to use this feature. If you don’t have one, you will be prompted to sign up for an account once you click to view a session. The official Call for Papers submission process will open on April 4th, and you will receive an email communication including links, directions for submission, contacts for questions, and additional information regarding the conference. As always, check the VMworld website for updates and information. Good luck in preparing, and we look forward to seeing your submissions this year! We are getting close to the 1 year anniversary of moving to Fusion ioControl, formally known as NexGen Storage. I must say we haven't had any performance problems or complaints from end users since we installed it. My comments below and in other posts should help anyone looking for fast affordable storage decide which way to go. The new version of ioControl 2.1.1 has proven to be a winner in my book. We aren't using the snapshot capabilities yet but we are growing volumes on a regular basis. Disk tier performance has increased by 70%. I am not a huge fan of the vSphere plug-in yet. For our environment the response time is just too slow compared to me manually creating a new volume and datastore. I think this might be due to their plug-in design and how it integrates with ESX. It does work well once you get it loaded and I think they will dial things in with future updates. Their reporting features on performance are great as well. If you think you have an issue you can easily nail it down quickly. I would like to see a report for all volumes at once though. Since the 2.1.1 update our Disk Storage tier (physical disk storage) has stayed below 0.1K IOPS. This tells us the Solid-state Tier is performing most of the work which is what we wanted. I have also as of yet not been able to tax the system for IOPS at all. I was concerned that the dashboard wasn't showing the correct numbers. So I decided to run a few iOMeter tests to see if it was. Turns out the dashboard was 100% correct. We are averaging 800-2000IOPS at any given time. This is hard to believe as we have over 100 Server Class VM’s running along with 65 volumes (45TB). I can only attribute this to my expertise in System Administration or just the raw performance FusionIO provides. All of the numbers for IOPS that Microsoft provides for their applications are far higher than what I am seeing. Around 10x higher to be exact. Likely this is due to spinning disk vs solid-state performance. I continue to enjoy the relief that Fusion has given us. I suggest you look at Fusion for any IO intensive needs. They have a lot of great products that are inexpensive compared to what you could spend on a competitive solution. 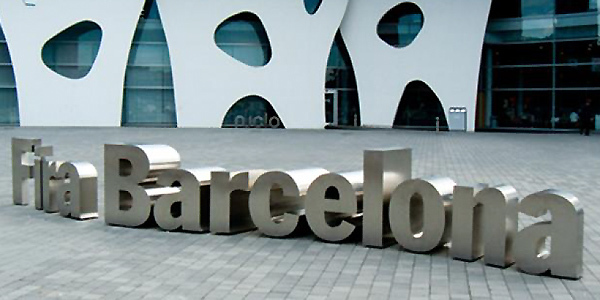 VMworld 2013 Europe is now a wrap, but what a week it has been in Barcelona! Thank you to all our attendees. sponsors & exhibitors! VMware Cloud Management Solutions: Announced today, new capabilities and enhancements across the portfolio of cloud management solutions will simplify and automate management of IT services for multiple clouds and platforms. New product releases include VMware vCloud Automation Center 6.0, VMware vCenter Operations Management Suite 5.8, VMware IT Business Management Suite, and VMware vCenter Log Insight 1.5. VMware vCloud Hybrid Service: VMware is expanding the vCloud Hybrid Service to Europe and will roll out vCloud Hybrid Service in the United Kingdom with a new data center location in Slough. VMware vCloud Hybrid Service is expanding in the US and this new data center addresses UK and European data locality, privacy, security and sovereignty. Also announced was the availability of the new vCloud Hybrid Service Online Marketplace, providing a platform where customers can discover, download, test-drive and buy solutions for vCloud Hybrid Service with access to 3,800 pre-qualified applications and rich online resources. End-User Computing: VMware today announced the acquisition of Desktone, a pioneer and industry leader in the desktop-as-a-service space. End-user computing executive vice president and general manager Sanjay Poonen provides complete details in his blog post on the acquisition of Desktone. Additionally VMware is introducing new product offerings and capabilities across its end-user computing product portfolio to broaden IT support for the mobile workforce. New product releases include version updates to View and Mirage (Horizon View 5.3, Horizon Mirage, 4.3), ThinApp (version 5.0), new VMware Ready smartphones from Sony, the availability of the vSAN for Horizon View public beta and a new crowd sourcing feature in Socialcast. VMware vSphere Data Protection Advanced: VMware vSphere Data Protection Advanced delivers industry-leading storage-efficiency for backups, unique capabilities to accelerate recovery and unparalleled integration with VMware vSphere. Announced today, VMware vSphere Data Protection 5.5 Advanced will feature new capabilities including network-efficient backup data replication, integration with EMC Data Domain, a new Microsoft SharePoint agent, and automated backup verification. Join Us Tonight for the VMworld Party! Are you ready to PARTY! This is going to be a party you don't want to miss. We even have a 'Super Secret Celebrity Guest'..and it's going to be Dynamite! You're going to have to find out for yourself though. Join us tonight at 19:00-22:00 in Hall 6.0. Join us for beer, wine and food for the VMworld Europe Hall Crawl in the Solutions Exchange from 17:00 – 19:00. With all the sessions going on at any one time at VMworld Barcelona, how do you decide how to make the most of your most precious asset—your time? Read on for guidance on how to make the most out of your time. Uncovering the Hidden Truth in Log Data With vCenter Log Insight. Deep Dive into vSphere Log Management with vCenter Log Insight. Tips & Tricks with Log Insight (cool, new product for root cause analysis). How to Manage vSphere and Hybrid Cloud with vCenter Operations Management. How to Customize Your vCenter Operations Management Deployment for Your Business Needs. vCenter Operations and the Quest for the Missing Metrics. Practical Real World Reporting with vCenter Operations. What’s New and What's Next in vCenter Operations: A Tech Preview. Reigning in VM Sprawl - Automating the Reclamation of Unused Resources. Automating the Software Defined Data Center: How Do I Get Started? Getting Started with vCenter Orchestrator. From Virtualization to Cloud: How Automation Drives Agility. VMware & Puppet: How to Plan, Deploy & Manage Modern Apps (because you need to know how VMware & Puppet work together). The Transformative Power and Business Case for Cloud Automation. vCenter Orchestrator - Say Hi to Razor and Software Defined Storage. Provisioning and Managing a Heterogeneous Cloud with vCAC. Best Practices for Application Lifecycle Management with vCloud Automation Center. Cloud Service Automation with NSX and vCloud Automation Center. Leveraging IT Financial Transparency to Drive Transformation. Pre-register using the schedule builder as several of the sessions are nearly at capacity. You can also comment on your favorite picks and speakers. Also, be sure to read this latest Cloud Management blog with infographic: Reigning in the Cloud! Immediately following the "Hawl Crawl" in the Solutions Exchange on Wednesday, is the VMworld Attendee Appreciation Party. This will be the ultimate in dance, sports, art, chill out and spectacular live performances... All under one roof. Indulge in the exotic oxygen bar, get creative with a digital graffiti wall, kick back in our eccentric member’s cocktail club or grab your friends and hit the roller disco. Plus a DJ set by Space Ibiza resident Mr. Doris, live show by female dance sensation High on Heels, AND an epic must see performance by our headline act! A shuttle service is offered to attendees from the airport to VMworld 2013 and from the Europa Fira Metro station to VMworld 2013. Look out for the VMworld 2013 sign on arrival. There is no shuttle service offered from hotels. Shuttle drop off/pick up: Fira Gran Via North Entrance, Hall 8.0. We have metro passes available at the Information area which is across from Registration. They are good for 10 uses. VMware experts have created paths from our content offerings to help guide you. For each of the following select areas, we have identified sessions addressing both “getting started” and “advanced” curriculums in key areas of virtualization. Recommendations include select, high-value sessions aligned with additional areas of our event program (labs, demos and group discussions). This further compliments your educational experience and provides you a comprehensive understanding of the subject matter. Create a schedule that supports your business needs. Software-Defined Data Center (SDDC) - The software-defined data center is a cloud architecture that extends the familiar virtualization principles of abstraction, pooling and automation to all data center resources, and governs them with policy-driven automation and management. Software-Defined Data Center technology from VMware helps you achieve groundbreaking business agility—reducing application provisioning time from months to minutes. Hybrid Cloud - VMware cloud services enable organizations to run any workload, anywhere—onsite and offsite—and move workloads between private and public clouds as needed to meet business and user demands. Storage - Virtualized environments require dynamic storage allocation. Software-defined storage meets the challenge by abstracting storage resources to enable pooling, replication, and on-demand distribution. End User Computing - The scope of end-user computing is expanding, as the workforce increasingly adopts devices and platforms that provide mobility and productivity anywhere. For IT, the result is an increasingly complex and dynamic environment that’s hard to administer with rigid PC-centric tools and processes. Management - VMware Cloud Management solutions help you better provision, manage, and demonstrate the value of the software-defined data center with policy-driven automation and management.Below are suggested sessions aligned with hands on labs, discussion groups and product demos to take you further on your journey. Networking - To realize the full potential of the software-defined data center, IT must move networking and security into the twenty-first century with a software abstraction layer—network virtualization. Security - The VMware NSX platform for network and security virtualization is at the heart of the software-defined data center. The NSX platform will help customers accelerate operations, improve enterprise agility, and change the economics of networking and security in the cloud era. VMworld 2013 Europe is gearing up for another exciting week of amazing networking, education, announcements and experiences. Social Media has become the best source of sharing this among attendees and the rest of the world watching via social networks. It was last minute, and I had some other stuff on, but I just couldn't stay away. I missed it last year and really enjoyed Barcelona when I was there before so it was a must. As a kind of a storage dude I also have a real interest in a lot of the flash tech, both inside VSAN but also things like pernixdata. I'm also very keen to hear more about Atlantis and Pivot3 regarding their VDI solutions. Atlantis in particular have a memory based platform to reduce notorious VDI SAN performance spikes. But overall I'm really looking forward to being there and soaking it up. I'm going to attend VCDX bootcamp on the 13th as well so I'm really excited about that. The General Session Thursday at VMworld is all about innovation and celebrating makers. The video for the session is not available, but you can check out some of the audience's reactions to this inspiring and amazing session via Twitter on @VMworld. Here are also some videos featuring our speakers today. The “Makers and Shakers” keynote is probably my favorite keynote of the week. It’s always in the morning, after the [usually epic] VMworld Party (see my Twitter feed: @vMattK for pics/videos of that). Anyway, for this keynote VMware brings in different speakers who talk about their role in innovation and how they are making the world a better place for everyone. The theme was really around putting affordable, fun technology into the hands of kids, adults, the computer savvy and not-so-savvy, to embrace the world seen around them and see or experience it in a different way. Jay Silver started with his really interesting take on shifting the way we see the world. What if we could “see” the pattern of wind or “hear” the resistance of electricity. He showcased the MaKey MaKey kit and what people around the world have done with it. The MaKey MaKey Invention Kit is an affordable ($50) kit which includes everything you need to create an electronic musical instrument out of the world around you (http://www.makeymakey.com). From kids to professional musicians, the MaKey MaKey was embraced with this sort of passion that you don’t usually see with technology. You can also take a look at his presentation on TED: http://www.ted.com/talks/jay_silver_hack_a_banana_make_a_keyboard.html. Keller Rinuado was up next, with Romotive. It was such a new and refreshing look at robotics: simplify, make it affordable, make it fun, and make it for everyone. Romotive is making just the coolest robot that uses the brain of an iPhone for processing and programming, complete with a simple programming interface (visual programming on iPhone). Seeing kids programming a robot to do things was incredibly inspiring. The Romo is easy to use for amateurs but is also built with powerful APIs, so even more advanced programmers wouldn’t be bored and can do amazing things. Romo has this goofy, friendly face (when the app is up) and can be controlled by any other iOS device. It seems like such an amazing way to get kids interested in science. You can get a Romotive Romo robot for $149.00. Yep - a real, working robot for $150 (you supply an old iPhone). Video: http://vimeo.com/64614558 and Website: http://romotive.com/meet-romo. Bre Pettis was the final speaker and talked about building the first affordable 3D printer. Bre has this super dynamic presentation that was engaging and moving. He talked about how they got started and his vision of having affordable 3D printers, so people can do be their own creator, manufacturer, and sharer: introducing the MakerBot – a desktop 3D printer. The most impactful story was of a person who lost his fingers. Two continents apart, two people in the MakerBot community exchanged CAD drawings of a relatively simple hand with 5 articulating fingers. Through refinement and rapid prototyping, they developed a hand that someone can print at home. Bre’s talked about kids, who have problems with their hands (maybe they had an accident or were born with a birth defect). He explained how expensive prosthetics are and how kids rapidly outgrow them. With a community contributed design and their own affordable 3D printer, a parent can print fingers. They can dramatically improve the life of their loved one through community contributions and home manufacturing. See: http://www.npr.org/blogs/health/2013/06/18/191279201/3-d-printer-brings-dexterity-to-children-with-no-fingers. MakeBot also has a “Thingiverse”, which is a community of contributed designs for the MakerBot. The MakerBot manufacturing facility is out of Brooklyn, NY and all are built and shipped with “Brooklyn Pride”. MakerBot just designed and released their first digitizer, which can 3D scan an object and digitize it into a file, which can be edited and printed on their 3D printers. Check out MakerBot: http://www.makerbot.com and hear Bre: http://www.youtube.com/watch?v=Ee_8IMx0uMo&list=PL71B138B45A841272. No general session to report on today – if you even made it half way through my blog yesterday, you deserve an award! We’re really proud to partner with award-winning Eaton, to deliver reliable, efficient, and intelligent power solutions. We’ve been partnering with them for a while and saw the potential in IPM from the get go. Well done Eaton!!! What the judges said: OmniCube changes the data center for the better. It's simple to use, so IT professionals can be more strategic and spend less time on maintenance. What the judges said: Afore's ability to move VMs into the cloud in an encrypted way has value for all organizations. What the judges said: Power is critical to every organization, and Eaton's predictive failover, load-shifting and VM-prioritization capabilities are invaluable when an outage strikes. What the judges said: Plumgrid offers software-defined networking for VMware and OpenStack infrastructures. It provisions virtual switches, L4 load balancers and security policies through an HTML5 interface. What the judges said: SysTrack Resolve identifies problems within hours when it would otherwise take weeks. The product also demonstrates the value in fixing those problems. What the judges said: Embotics can manage any cloud. Its ability to show the cost of running specific workloads helps users with chargeback and showback. What the judges said: Neverfail checks configuration against service-level agreements to identify potential problems, and its dependency mappings provide great insight. Carl Eschenbach, VMware’s COO, lead today’s general session. He started by recapping the announcements of vSphere 5.5 and vCloud Suite 5.5 from yesterday. Carl then talked about VMware’s goal to virtualize 100%, reiterated the NSX announcements and the three imperatives Pat talked about yesterday (1. Virtualization must extend to ALL of IT, 2. IT Management gives way to automation, and 3. Compatible hybrid cloud(s) will be ubiquitous). Carl introduced Kit Colbert (Principal Engineer, VMware). Together they took us, layer at a time, through the magic of vCloud Automation Center and all the underlying technology. They started with a very classic, well known video clip from “I Love Lucy” – the infamous chocolate factory scene (if you haven’t seen this – stop reading this and watch it now!). Think of Lucy and Ethel as today’s IT staff and the chocolates in need of wrapping like the requests and demands coming from application areas. Eventually at scale, without automation, they run out of hand power. It was a great analogy. Incidentally, VMware had a Lucile Ball look-alike handing out chocolates and taking photos in the lobby after! Carl and Kit then took us through a sample application – Carl called it Project Vulcan. The demo started with vCloud Automation Center (vCAC). With vCAC Carl initiated his request for the application, and vCAC gave him some deployment choices and costs associated with those choices. Carl also had the ability to auto-scale his Project Vulcan application. It showcased the freedom for the application area to choose, but the control the IT area can still keep. After the request was submitted, Kit took us a step deeper on how this all works. Complimenting vCAC is vCloud Application Director. vCloud Application Director coordinates the deployment of applications, including multi-tier applications. You create a full end-to-end application definition with policies, dependencies and so on. What this does is abstract the application, in its entirety, from infrastructure. Once the application definition is created, vCloud Application Director takes care of coordinating the infrastructure components. This does three major things: streamline application provisioning, decouple applications and infrastructure, uses automation to reduce steps, cost, and errors. As we peeled back the layers of what vCAC was doing during the deployment, VMware NSX was up next. Kit and Carl walked us through how NSX layers on top of an existing physical network, similar to how we virtualized compute. Services such as firewall, layer 2 switching, layer 3 routing, and load balancing can be tied to the application definition itself, using the existing network as a fabric. Logical switches, routers, and firewalls can be created immediately. The classic hairpin problem is gone. The hairpin problem is this: let’s say you have two guests on different segments but the same host. In a traditional networking model, even with vDS, that traffic must go out to a router and back. If you draw that pattern on paper it looks like a hairpin. So, when you move that layer 3 routing to the hypervisor, you eliminate the hairpin problem all together. Interesting note: they stated that up to 70% of a datacenter’s traffic is from VM to VM. That’s up to 70% of traffic which could fall into that inefficient traffic pattern in your datacenter. Also, Kit was talking about how the firewall capability at the host level, in the hypervisor, actually provides a more secure (zero trust) environment because policies and rules prevent certain types of traffic from ever going on a physical network link. Carl and Kit played a video clip from West Jet out of Canada. They had a great use case for NSX in their environment. West Jet needed to keep their existing network investments but realized they had a problem. Their network did a great job with north/sound traffic – basically from client to server. The problem was that as their applications got more complex, there was more east/west traffic happening than north/south. They needed a new way of doing things. With their current physical network investment, they realized the benefits of software-defined networking when the east/west traffic was now efficient and optimized, accommodating both the north/south and east/west traffic patterns. Great. So how does one get there? Well – Kit demonstrated a zero downtime migration to VMware NSX. Assuming it’s already setup on a host, it’s as simple as a vMotion for the guest. Simple. No downtime. Easy. So, what about storage? Carl and Kit dug into VMware’s Virtual SAN (VSAN). Basically Virtual SAN keeps copies (you can control how many) of your VMDKs on local storage. It doesn’t seem to do anything fancy like network RAID. It was literally two clicks to turn Virtual SAN on, for the cluster and begin consuming that local storage as a datastore. It supports policies and intelligence such as SSD vs. non-SSD. You want to add capacity? Add another host and the VSAN datastore automatically grows. (It sounds really similar to how Exchange with DAGs work – for the Exchange people). Now people can further use local disk as production SAN. (VMware Virtual SAN is now available for Public Beta – I’ll be kicking the tires on it back at Kelser). Carl and Kit effectively showed how vCAC and underlying infrastructure can deliver on the promise of automated and intelligent application delivery. Great – we have the application up; now let’s give people access to it. Enter vCloud Automation Center’s integration with Horizon (View) Workspace. Just as Carl requested an application with vCAC, a user can request a desktop or application access. This integration gives your users a “launch pad” for the software-defined datacenter. It all came back to I Love Lucy … Kit had a video for Carl. He played the scene from When Harry Met Sally, where Meg Ryan orders the most complicated chef salad and apple on Earth. “But I'd like the pie heated, and I don't want the ice cream on top, I want it on the side, and I'd like strawberry instead of vanilla, if you have it, if not, then no ice cream, just whipped cream, but only if it's real, if it's out of a can, then nothing.” It was the perfect juxtaposition to the chocolate wrapping scene. Business requests have more attributes, complexity, and come at us faster than ever before. The hands-on [wrapping] approach is not scalable and we need the tools to make IT happen. Carl invited Joe Baguley up for a few minutes, to talk about IT Operations. Joe is intimately familiar with IT Operations and talked about how most companies still have silos in their Operations groups. Basically the network people have a network workflow, their own tools, and such for managing the environment. When something goes wrong enter the “War Room”. Now, I’m not sure how many people remember these – but I certainly do from my previous life in the enterprise space. There is literally a room or rooms reserved for the purpose of arguing and pointing fingers when something bad happens. Inevitably, the team would figure the major problem out and it was never usually just one component that caused a problem. As environments get faster and more complex, the “war room” model just doesn’t scale. Enter vCenter Operations that integrates with vCloud Application Center, to automatically determine the baseline and health of an application, taking acting when necessary to fix an issue or predict an issue might happen. Back to the Vulcan application, we could see that it dramatically took off and throughput was going way up. Because of the auto-scale we turned on, vCenter Operations and vCloud Application Center can respond, automatically, and scale the application out. Joe also talked about just the massive amount of log and performance data that must be collected to properly manage the environment. VMware actually recognized this as a big data play and developed the recently released VMware Log Insight. In the example, we saw Log Insight quickly sift through 65 million data points and pull out the 7 or so relevant issues related to the performance problem on the Vulcan application. Folks who attend VMworld and follow @vmloginsight on Twitter will get 5 free licenses! That wrapped up general session day 2. It was a great presentation that really peeled back the layers of vCloud Automation Center and showcased the power of NSX, VSAN, and vCAC itself. It seems like VMware is very well positioned to move people and applications to the automated, software-defined datacenter. The cloud vision of a few years ago is really taking shape, and taking off. As we embark upon another VMworld conference this week, VMworld TV is gearing up it's engine to provide you with quality coverage and entertainment throughout the week of VMworld 2013 San Francisco. Our team will be onsite and roaming the Moscone Center and surrounding San Francisco Venues to bring you the best announcements, interviews, demos, behind the scene footage and party coverage. Look for these videos to be shared on VMworld TV throughout the week and then again in October as we head to VMworld 2013 Barcelona! You can watch the latest videos or archives from the past, either at VMworld TV on VMworld.com or directly on VMworld TV on YouTube. It's also good to take a look back at sessions from years past as we prepare for the exciting new sessions ahead for 2013. There are several of the most popular sessions from 2012 and 2011 available to watch, including general sessions. Take a look at the 2012 sessions playlist and 2011 sessions playlist for these videos. There are also playlists for other interviews and tech talks from the past such at theCUBE 2012 and Community 2012. You can also view even older VMworld Sessions back to 2004 on vmworld.com (not on VMworld TV). 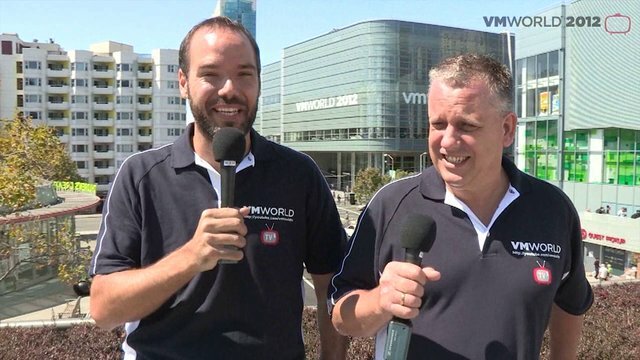 Look forward to more great VMworld TV coverage and video resources coming your way! Well not much, WP still has a better editor! And I have a new friend! With all the sessions going on at any one time at VMworld, how do you decide how to make the most of your most precious asset—your time? Read on for guidance on how to make the most out of your time. And, finally, don’t miss the lessons learned in the trenches. What are your peers doing? We are extremely excited about our plans for VMworld Hands on Labs 2013 and wanted to give you a preview of what to expect. This year we will be in the Moscone South Esplanade Ball Room with over 45,000 Square Feet of space dedicated to Hands on Labs. Hybrid Cloud - Explore VMware’s new Hybrid Cloud Service in a virtual lab. This year we are introducing the concept of Lab Topics and Lab Modules. The goal here is to provide more of a structured learning experience and help make finding labs content as easy as possible – This effort was brought to us by Andrew Hald who has worked on this for the past year – a huge thanks. What is a Lab Topic? Lab topics are very much like a book on a specific subject – so, for example, if you are interested in networking we will have a Lab Topic on VMware’s latest networking solutions. What is a Lab Module? A lab Module is very much like a Chapter in a book or Lab Topic. We have a wide range of modules in each topic. Some will be beginner level and some more advanced. Here is a breakdown of our lab content. We are also very proud to have our Partner participate in creation of labs. We get tons of feedback on how much our attendees enjoy meeting our product experts – we heard you loud and clear and are bringing in over 290 engineers from around the world to help make your lab experience a superb one. This will be an excellent opportunity to meet the engineers that put together and support your labs. As an attendee,you will gain insight and learn best practices when using our products and solutions. This is a great opportunity to come down and meet our product experts in one massive 45,000 S/F room. A huge thanks to Chris Romano for putting this massive effort together – it’s not an easy job. Meet Sachin Sharma VMware Horizon Product Expert who will be on site to help. We will be running actual Hands on Workshops during the event. The workshop topics cover Cloud Infrastructure, Hybrid Cloud and End User Computing. Attendees will be able to interact with the VMware engineering teams that put the labs together and walk through the labs - there will be plenty of time for questions and answers during each session. These sessions will be BYOD so do plan on bringing your laptop. These workshops will be in the main room Esplanade Moscone South - seating will be limited (20 max) and sessions will run 60 minutes in length. We wanted to really defy convention and bring labs closer to you. This is a new concept for us with the idea that attendees will be able to take our labs closer to their sessions and locations. Product experts will support our VMworld Hands-on Labs Hotspots and we will also have our Chat Support enabled so you can have access to our broader team. Please do plan on bringing your own laptop and be sure to give a huge thanks to Annie Y. for bringing this to you. Hotspot locations will be at the Marriott Lobby, Moscone North, and Moscone West second floor. HotSpot hours will be the same as the regular HOL main room times. It always starts with the architecture. Bill C., Joey D. and Doug B. have done a tremendous job of putting together the architecture for our 2013 Hands-on Labs. This is a critical effort as our labs will be served up worldwide and have to go through massive torture both during and after VMworld. The toughest part of building a robust architecture is also keeping our VPODs lean and mean – this is not only a technical challenge but also a skill in negotiating with our product teams and saying no. We have two major datacenters providing the workload for our event. We are planning on 550 concurrent seats of capacity. Our primary data center is in Las Vegas / Switch. Our secondary data center is out of Wenatchee, Washington. We have standardized for VMworld 2013 on Cisco UCS Blades, and for storage we are using EMC VNX 7500 and EMC XTremIO arrays. To give you a sense of capacity we are going to be using over 80TB of RAM, 2000 Cores of compute and 80 TB of super fast storage. Our Data Centers are run by our top notch team of Architects from our OneCloud Team who are working extremely long weekends to make sure our capacity is ready for you. A big shout out to Patrick N, Brian M. Joel K. and the rest of the team for making this happen. HOL scale testing was driven out of the need to scale for massive spikes and ensure our attendees have a superb user experience. Joshua S. is heading up our efforts we have successfully run our Hands on Labs service at 890 concurrent users. This is probably more than we will use at VMworld, but its always fun to plan for extra head room. It goes without saying – all of this could not have happened without our team dedicated to making this a superb experience for you. A huge thanks to our newly-minted Program Manager Jeannette B who tirelessly keeps us going in the right direction and to the great folks in Corporate Event Marketing who make this an incredible experience for us. Massive effort put together to bring you the very best in content. I have been a VCI for 9 years. I am VCP and VCAP Design in vSphere, View, and vCloud. I am also VCAP DCA (admin) on vSphere. My recommendations for preparing for the exams related to these certs are at http://vloreblog.com/category/exam-preparation/. I will be at VMworld in San Fran.